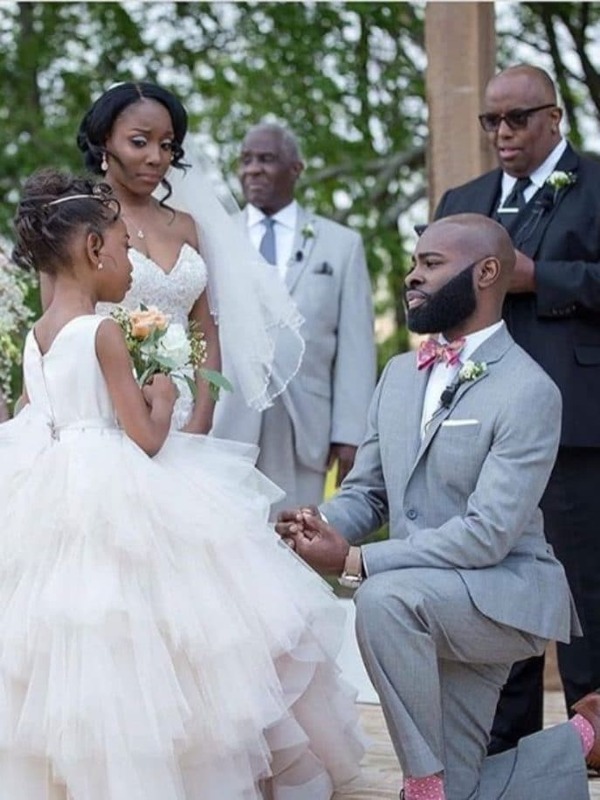 Dr. Justin Turner tugged at our heartstrings in this Black Wedding Moment of the Day by dedicating part of his vows to his wife Elisha’s daughter Layla. Even though it’s been two years since the Turners’s wedding, this moment is still turning heads. Grab your tissues and prepare for your eyes to sweat as Justin makes his step-daughter part of their ceremony. Who started cutting onions?! Congrats to the Turner’s on their anniversary!